We understand the importance of selecting a trusted hardscape installer for your project. Our primary goal is to provide you with an excellent experience from the start to finish of your project and beyond. We encourage you to see the testimonials of our clients and call us for a no-obligation estimate. We install patios (paver, natural stone, or concrete), outdoor kitchens, fire pits, walkways and more! Our installations are award winning. We refuse to sacrafice quality or cut corners when it comes to your project. 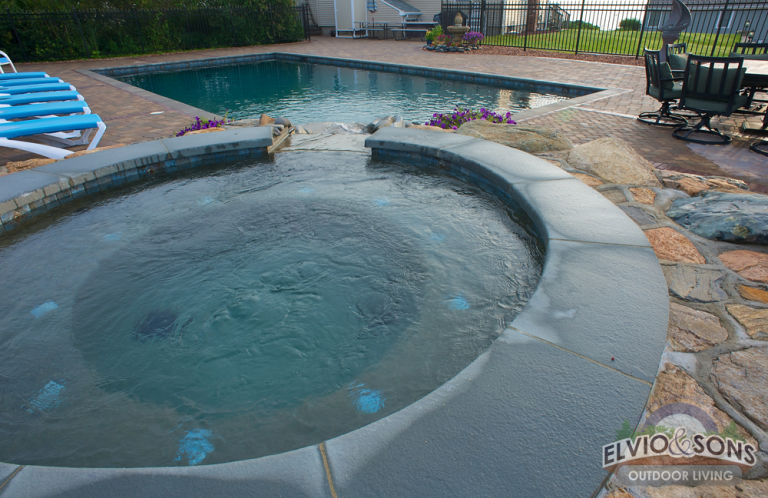 You'll be happy you chose Elvio and Sons for your outdoor living project! Elvio and Sons no longer installs pools. 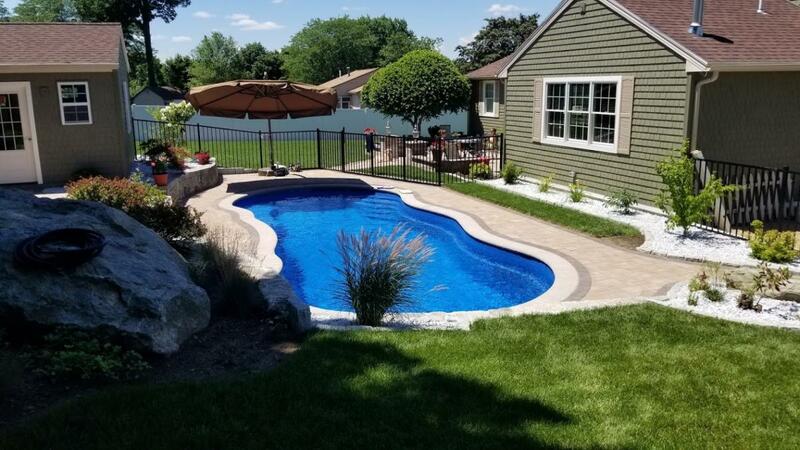 We continue to install pool patios, seating patios, walkways, driveways, retaining walls, fireplaces and more! Click on one of the pictures below to learn more! Looking to create the perfect outdoor living space? We service the greater Rhode Island area. Call us today for a free, no-obligation, consultation and estimate. After 3 years of debating whether or not to invest in an in-ground pool, we decided to pull the trigger last fall. Through the entire process Elvio always provided guidance, reassurance and expertise while exhibiting a work ethic that is second to none. The man is simply the best who is solely driven to provide the best in client satisfaction and workmanship. The installation was a breeze, he and his team have the process down to a science. As a home owner, I simply want the best, and clearly Elvio is driven by the same motto. Only quality products are used, from the filter system, to the pool pump. Thank you, Elvio for turning our backyard into a beautiful oasis that our family will enjoy for many years to come.